We had a great evening at Headington Hill Hall with comrades in arms, the Production Premium group and the Flash group. 46 of us filled the room to listen to Iona Walters presentation on Production Premium CS6 features, and Richard Curtis‘ Photoshop presentation. Great to see so many new faces, and thanks to Richard and Iona for travelling out to see us – it was much appreciated. 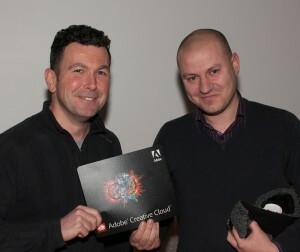 Gem de Silva was the lucky winner of a copy of Adobe Production Premium CS6. 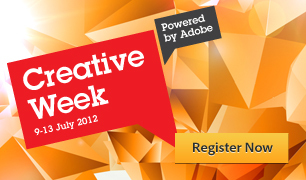 July 9 – 13th is Adobe’s first ever UK Creative Week. It’s all online, with interactive debates, lively discussions and in-depth demonstrations broadcast live online. With creative luminaries, tech experts and special guests we’ll be discussing where the creative industries are heading – and who’s in danger of getting left behind. You can dip in and dip out whenever you want – just make sure you don’t miss out! Keep up to date here. 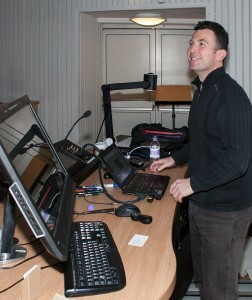 Alun gave a quick presentation on Spry, and how to use it in Dreamweaver to create a picture gallery web app. John won the $2,000 software raffle, congratulations John, and very kindly donated it to OFVM, our generous hosts. Here are the notes from the presentation. Q. Where to get Spry? Adobe Spry home page with demos and examples. This includes the data framework, sample photos and XML data file. Don’t forget, the next meeting is on 1 October 2008 – sign up for the event, this will be a special Adobe launch edition. Last night’s meeting was a simple introduction to the Dreamweaver group to prospective members, mainly explaining the benefits of Adobe User Groups. Many thanks to those who made it, and stuck with us all the way through from the Flash session to the end! Alun ran through a quick overview of Dreamweaver CS4, a free beta of which is available from the Adobe site. The beta is free until launch for registered owners of Dreamweaver CS3. We walked through a couple of the videos Adobe have provided, explaining some of the new features in CS4 : Live View, Related Files, and Live Code. These videos can be viewed either on the Adobe TV web site, or by installing the Adobe Media Player and browsing for the DreamLabs channel. Go straight to the first in the series of six videos: Related Files, and carry on browsing the TV site to view the rest. and Adobe’s own AJAX framework, Spry. We talked a bit about possible topics for future sessions, and these included web accessibility, Spry and AIR – which would integrate well with the Flash User Group’s interests. We’re also probably going to be able to cover Photoshop and Illustrator, so designers and pencil-pushers don’t feel left out! Next meeting is September 3rd.